Being on the job or in another country doesn’t mean you have to feel far from your child — especially at our preschool and day care center. 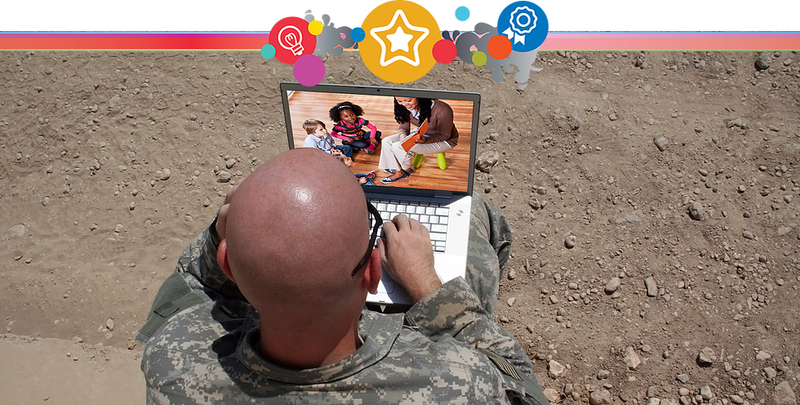 For our civil servants and military families, Education Depot’s Online Safety Systems allow you to check in on your child from anywhere, at anytime, no matter how far the distance. This allows you to check in on your child anytime you want. As a parent, you want to know how your child is at any given moment. With our internet camera system, you get to see how they are doing and what they are doing throughout the day. Watching your child interact with our teachers at preschool is both rewarding and comforting. This system ensures that only the people who should be in our facility are allowed. It is a keyless entry system in which unique ID codes are only given to authorized personnel and may be disabled at any time providing a safe and secure environment. With the ProCare Touch, only authorized adults can gain access to classroom entry at our preschool. Door access is controlled by a login code which provides data of who entered and when they entered.